Despite driving quite frequently across the country, I have always been an anxious driver. I cannot pinpoint the exact reason why I get anxious as I know that I can drive, but sometimes I get behind the wheel and begin to feel all jittery and my stomach goes into knots. Over the last four years of driving, I have since been able to control my emotions and this rarely happens any more unless I'm going somewhere brand new and quite far away, but during my first year of driving I had several panic attacks behind the wheel when I got myself into a difficult situation and it was a really daunting experience - knowing that the car is your responsibility and you're the only one who can get yourself out of that problem. A few weeks ago I was invited to have a go on the Coniston Hotel off-roading track on the outskirts of Skipton. The session was just under an hour and had me driving through rivers, up very steep stairs and balancing a very large Mitsubishi 4x4 on three wheels. When I arrived at the hotel, I was taken to the briefing area where I was shaking in anticipation, but my instructor had a great sense of humour and within ten minutes he had already calmed my nerves. After our safety session, I was then taken on to the track where I was shown how to manoeuvre the vehicle and then given a chance to try it for myself. The car was so much bigger than the little Fiat 500 I'm used to driving, but it was a really comfortable smooth drive and after a few minutes, I felt well acquainted with the car and ready for the challenge. Before we tackled each off-roading challenge, we stopped the car and talked through everything that I needed to do. Once I had got over the first big ramp, I realised how much control I had over the car and I realised I had nothing to fear. Within 20 minutes of driving through the track, my confidence had increased so much that I could have happily driven around all day and balancing the car on three wheels didn't even daunt me anymore. On the last bit of the track, I was doing so well that the instructor decided to take me to a harder level that they don't usually go on during the taster sessions. I was asked to drive up a set of very steep stairs, which at first looked relatively easy, but on my first attempt, I got the car stuck and had to reverse back down. On the second attempt, I put my foot down hard on the gas pedal and flew straight up, I felt that I had not only conquered driving up steep stairs but for the first time in my life, I had conquered a few of my driving nerves. During the off-roading session, I learnt a lot about myself and my driving ability. My first observation was that I doubt myself way too much and that when I put my mind to something, I can actually do it. Secondly, the off-roading track taught me that you do have a lot more control over a car than you originally think you may have and as long as you take the time to think about your next steps and drive slowly, you will be okay. Finally, cars are a lot more capable than you may think - of course, it helps if you are driving in a state of the art 4x4, but most cars have gone through rigorous testing to ensure that they are safe for you to drive in any situation you may encounter. 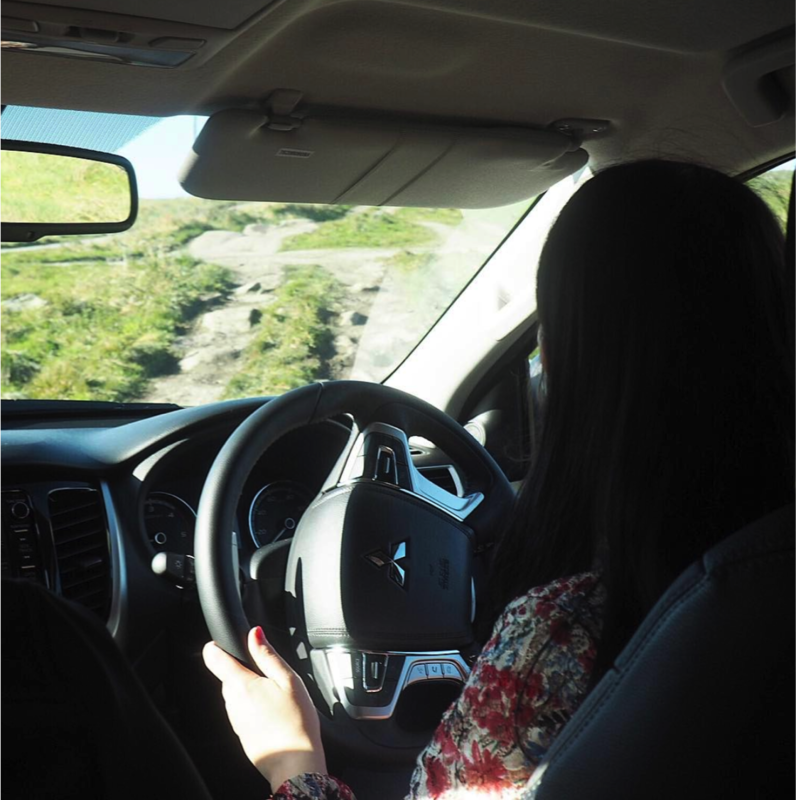 A 4x4 beginner session costs £109 for 60 minutes of driving and can take up to three passengers, all of which can have a go if they have a driving license. I would not hesitate to book another session, it is a fun, thrilling experience and great for those looking to test their driving skills. I'm already looking to go back next year. Have you been off roading before?